A solid black nylon guitar strap that is simple and effective for you rockers out there. Sling your guitar over your shoulder with total performance reliability, versatile sizing and pure arena-rock attitude in mind. 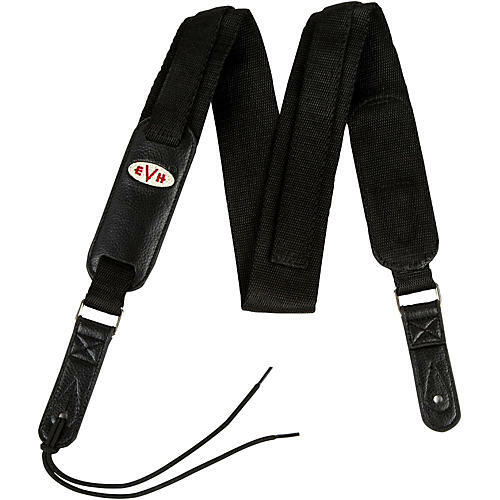 The EVH Nylon Adjustable Guitar Strap delivers the same stylish vibe of all EVH accessories but is constructed with black nylon for ultimate durability during the most strenuous stage shows. The quick-adjust hook-and-loop fasteners allow players to switch up the sizing of the strap with ease. It also offers extended sizing options (42" or 56"), guaranteeing a comfortable and secure fit for any musician. Order this strap today for a comfortable playing experience.